Head about 20 minutes northwest of downtown Austin and you’ll reach the community of Cedar Park, a family-friendly destination that straddles the line between big city convenience and Hill Country charm. Some of the most scenic places in Central Texas are just minutes away from Cedar Park, such as Lake Travis and the Balcones Canyonlands National Wildlife Refuge. Yet there’s much to see in town, from professional sports games to outdoor concerts and sculpture gardens. These are just a few of the things to do in Cedar Park. Before you pack your bags, read on to find out more about the fun you’ll have here. Is there anything as delightful as touring the countryside within the cabin of an old-timey steam train? If you’ve ever wanted to have this throw-back experience, you’re in luck. Hop aboard one of the Austin Steam Train Association’s round-trip train tours through the Hill Country to either Bertram or Burnet, each a historic town in its own right. You’ll have your choice of cabin for each tour, including everything from standard non-air-conditioned coach to the first-class car that has climate control, beverages, and snacks. 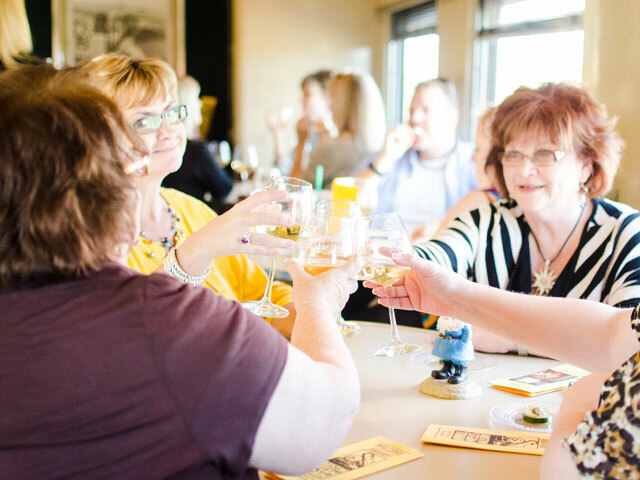 Many of these tours follow a specific theme, such as the kid-friendly Halloween Express and North Pole Flyer, and a wine and dessert tasting tour perfect for the grownups. Family-friendly fun and a one-of-a-kind adventure make this train tour in Cedar Park a must-do. Cedar Park sits just west of the sprawling Balcones Canyonlands National Wildlife Refuge, an important shelter for a diverse group of animals. Approximately 245 species of birds occupy the refuge for part or all of the year, including the endangered golden-cheeked warbler and black-capped vireo. It would be rare to see these birds anywhere else, so if you’re interested in birding or the outdoors in general, then visiting the refuge is a must-do. There are several hiking trails and observation decks throughout the area that gives you a good vantage point to observe some of the wildlife. Of course, you’ll also be traversing some of the Hill Country’s gorgeous terrain at the same time, which is reason enough to add this to your bucket list. Here’s a fun fact for you: Cedar Park is home to two professional minor league sports teams. The Austin Spurs and the Texas Stars hockey club play their home games at the H-E-B Center at Cedar Park, the town’s premier sports and entertainment arena. Both teams are affiliated with the top-flight teams that share their names: the San Antonio Spurs and the Dallas Stars. Regular season games for both teams start in October and end in April, so if you happen to be in Cedar Park during this time, then it’s well worth a visit. If you’re not, don’t worry. Cedar Park Center hosts numerous concerts throughout the year, so you can always catch a show regardless of the time of year. Another great way to appreciate the spectacular Hill Country scenery is by playing a few rounds on one of the eight golf courses near Cedar Park. These include the Avery Ranch Golf Club, an 18-hole championship course situated just east of Cedar Park that features panoramic views, oak-lined fairways, a challenging front nine, and a 60-acre lake. Just northwest of town, you’ll find Crystal Falls Golf Club, another 18-hole course that incorporates the area’s hilly terrain and natural creeks to create a unique playing experience. If you’d like to play a shorter round, check out the nine-hole course at Point Venture Golf Club that offers a great view of Lake Travis on its seventh hole. Tee times for most of the golf courses in the area can be booked online. You’re gliding dozens of feet above a lush oak forest with the gloriously blue water and jagged limestone cliffs of Lake Travis in view. Does it get any better than this? If you’re a bit of a thrill seeker, check out the zip line tour at Lake Travis Zipline Adventures. During the three-hour tour, you’ll soar on five zip lines and traverse challenging hiking trails. The tour’s coup de grâce is a zip line placed on a 20-story-tall cliff that runs about 2,800 feet, making it the longest zip line in Texas. Day tours leave every half hour, and tickets can be purchased on the company’s website.